There are numerous astronomy events in 2016 that any enthusiastic stargazer should look out for. While the most significant current astronomy events in 2014 and 2015 broadened our horizon and took our breath away, the astronomy events in 2016 are certainly up to par. Recent articles about astronomy current events highlight that quite a few celestial phenomena will amaze us this year. Just a handful of examples are the total solar eclipse from the 8th of March, Mercury’s sun transit on May 9th and the meeting of Jupiter and Venus at the end of August. We can’t wait to share our research on the most relevant astronomy events in 2016 in our stargazer’s calendar. Stay on track with the wonderful current events astronomy has to offer below! Pay attention to these astronomy events in 2016 for an exceptional observing experience! 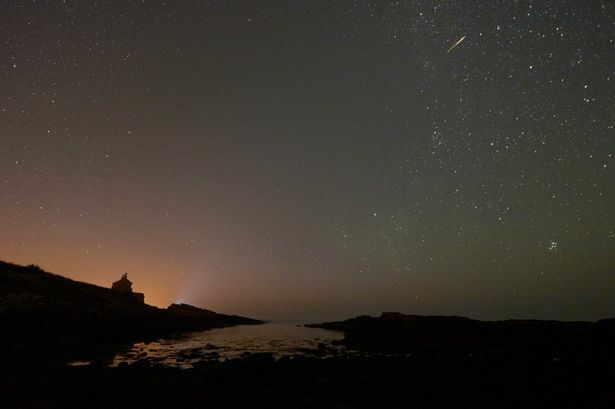 The Quadrantids Meteor Shower was definitely the most spectacular astronomy current event in January. It exceeds expectations of most meteor showers, owing to its great amount of meteors (as much as forty per hour). Even though unsuitable brightness conditions stopped us from enjoying the full visual experience, the Quadrantids was, without a doubt, one of the most appreciated astronomy events in 2016. Aside from the new moon on February 8th and the full moon on February 22nd, February didn’t offer many current events on astronomy that were notable. However, those who wanted to get a glimpse of Mercury in its entire splendor checked in on February 2nd to witness its greatest western elongation. Studies on current events in astronomy informed us that it would be an optimum chance to see Mercury, which established it as a current event astronomy lovers definitely looked out for. Current events in astronomy show that March is a wow month for those who long for a unique celestial viewing experience. A short while back, astronomy events today announced the most sought-after astronomy events in 2016 of all: the total solar eclipse. On March 8th, the moon slipped over the sun’s view, resulting in a magnificent complete eclipse. Even though the eclipse couldn’t been seen from everywhere around the world, those who were in key areas of Indonesia enjoyed a marvelous visual treat. Last Quarter Moon, March 2016. Photo courtesy of Space.com. When April comes around, you should stay connected to astronomy events tonight for two fantastic events, in particular. 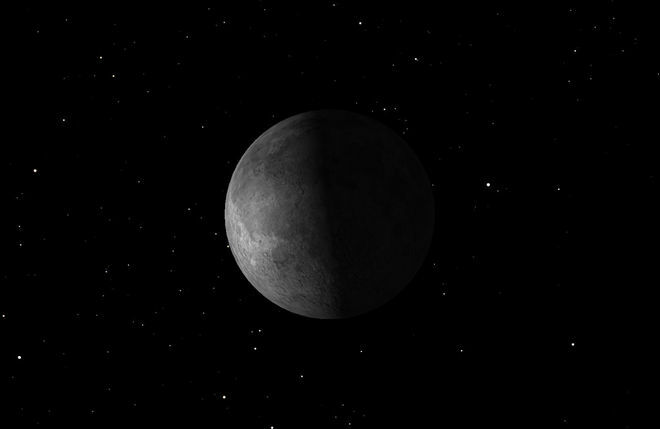 If February hosted the greatest western elongation of Mercury, April holds the largest eastern one. After the sun sets on the 18th, search for Mercury across the western part of the sky. By far, the most brilliant of all astronomy events in 2016 is Mercury’s transit on May 9th. 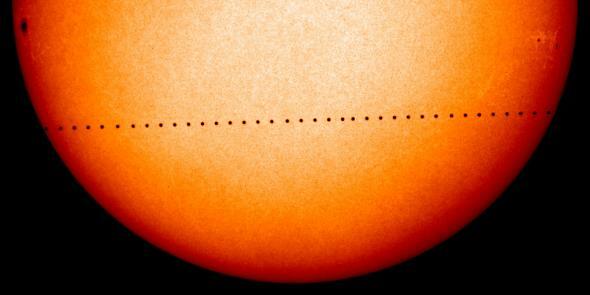 The last time Mercury’s transit across the sun could be witness was 10 years ago, in 2006. According to National Geographic, the transit will be visible between 11:12 am and 6:42 pm (GMT) from the western part of Europe and America. Transit of Mercury across the sun in 2006. Source: National Geographic. One of the astronomy events in 2016 to watch out for is Saturn at opposition on the 3rd of June. On this day, Saturn will be the brightest in 2016 and can be captured with far more ease in pictures. You’ll be able to see a couple of its moons, but also its beautiful rings. Don’t forget to watch Mercury on June 5th, as it will reach its largest western elongation once again. 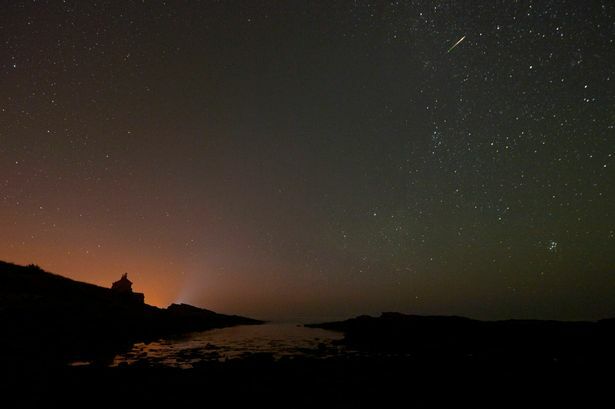 July will host yet another one of the meteor showers of 2016, Delta Aquarids. Even though it won’t be as large as the Eta Aquarids meteor shower on the 6th and 7th of May (as much as 60 per hour), it definitely is one of the astronomy events in 2016 to pay attention to during this time of the year. You can observe the Delta Aquarids between July 28th and July 29th. Some of the astronomy events in 2016 that stargazers are waiting for take place in August. We will enjoy not only one of the most exceptional meteor showers of the entire year on the 12th and 13th (the Perseids Meteor Shower), but we’ll also get another glimpse of Mercury on the 16th at its greatest eastern elongation. The month will conclude with a gorgeous conjunction of Jupiter and Venus on the 27th just as evening slips in. September is also packed with some of the most exciting astronomy events in 2016. The month kick starts with the annual solar eclipse on the 1st and continues with Neptune at opposition on the 3rd. If you want to get a closer look at the aforementioned planet, this is the best night of the year to do so. The highlight of September is the opportunity to see Mars and the Lagoon Nebula incredibly close. Precisely at the middle of October, one of the most relevant astronomy events in 2016 will take place. Uranus at opposition allows stargazers to view this planet throughout the night, as it is closest to our planet. The following day, October 16th, comes with the first of three supermoons that is sure to leave all observers in awe. To catch it, make sure you get your eyes on the skies at 04:23 UTC. We’ll enjoy the second supermoon from astronomy events in 2016 on the 14th of November, this time at 13:52 UTC. November also comes with two interesting meteor showers, the Taurids on the 4th and 5th and the Leonids on the 17th and 18th. If you want to observe deep sky objects, get your telescopes out on the 29th when the new moon takes place. The longest night of 2016 (Winter Solstice) will take place on the 21st of December, creating the perfect opportunity to view as many celestial objects as you would like for a longer period of time. Don’t forget to look for the last supermoon of 2016 on the 14th and the last meteor shower on the 21st and 22nd – Ursids. What astronomy events in 2016 are you interested in witnessing the most? Have fun and clear skies!